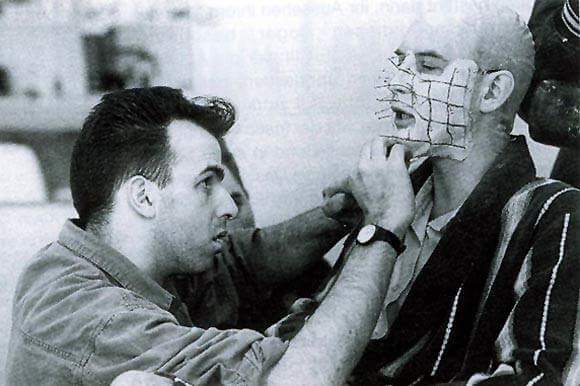 Geoff applies the iconic ‘Pinhead’ makeup. It’s just me today as Todd is pretty sick with a bad cold, so get well soon Todd. Hope you get fixed up and back on track soon, fella! 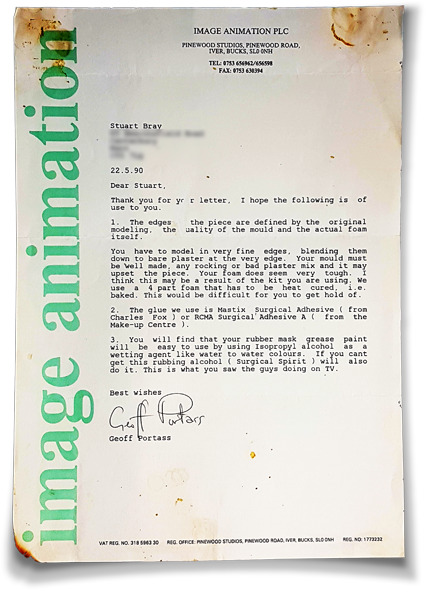 I still have my letters from 1990 when Geoff replied to my questions when I was 16! I sent foam samples of foam latex I had made at home and asked about the makeup they used and replied every time. I also remember meeting Nick Dudman at my college in 1993, when I basically cornered him for half an hour and asked him all these questions that nobody else could answer – pre Goole etc. 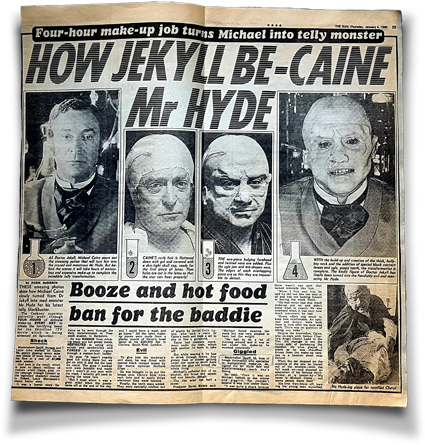 I kept this cutting from a newspaper (well, ‘The Sun’) as there was precious little to see of makeup processes before the internet made getting information a breeze. The podcast is available on iTunes, from Soundcloud and various other podcast directories. Please consider leaving a review or sharing this with people you think would dig it too if you enjoy this episode – it would really help us out!